And perhaps even two new missions, according to Geoffrey Yoder, acting associate administrator for NASA’s science mission directorate. NASA picked five finalists last year for the space agency’s next Discovery-class mission, a series of cost-capped projects to explore the solar system. Earlier or ongoing Discovery missions include the Dawn spacecraft at the dwarf planet Ceres, and NASA’s MESSENGER probe that became the first craft to orbit Mercury. The candidates are all focused on Venus or asteroid research, and Yoder said he expects to pick one of the missions to proceed into full development in December. The science teams behind each concept are currently working on their final proposals, after each mission received a $3 million NASA grant to advance their plans. The winning mission — or missions — must launch by the end of 2021, under the terms of the competition set by NASA. 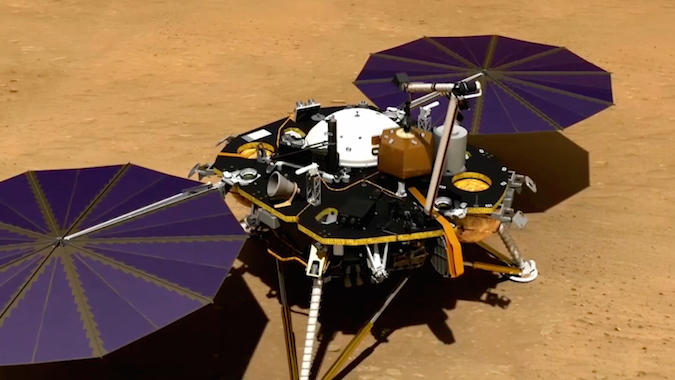 InSight is the next Discovery-class mission to launch, and it was supposed to head for Mars in March from Vandenberg Air Force Base, California. But engineers ran into trouble testing one of the stationary lander’s science instruments, a seismometer to be placed on the Martian surface to detect tremors and quakes. Officials said the problem’s root was in sealing an airtight vacuum enclosure containing the seismic sensors. The French space agency, CNES, is in charge of developing the seismic instrument package for InSight. The seismometer is central to InSight’s primary science goals — studying the structure of Mars’ interior and unraveling how the solar system’s rocky planets formed — so officials elected last December to delay the launch to fix the issue. 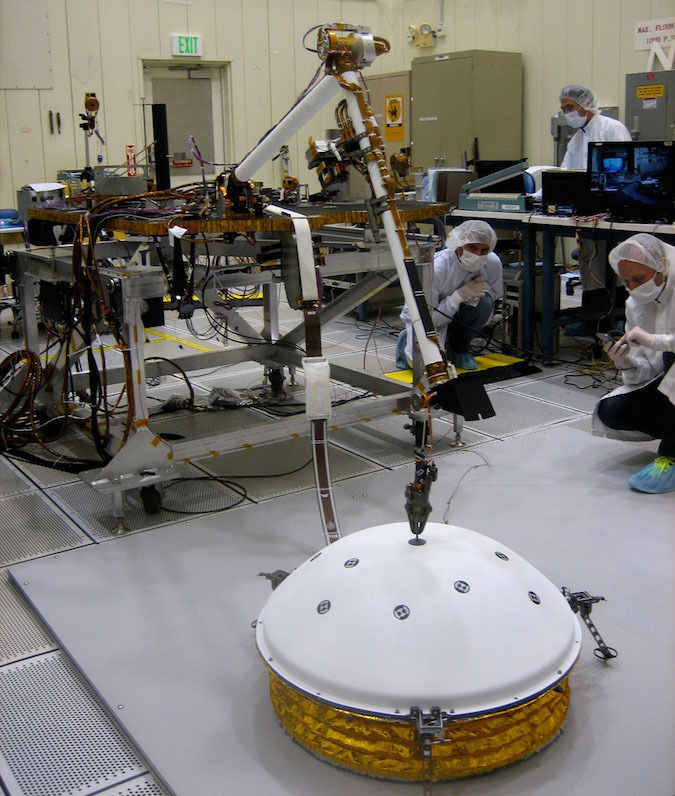 The instrument’s three main sensors reside inside a vacuum enclosure the size of a volleyball to shield them from the dust, wind and other hazards in the Martian atmosphere. The problem that cropped up last year occurred as French engineers tried to feed electrical cables through ports on the enclosure and seal the container for flight, but the ground team could not overcome persistent leaks. The seismometer instrument will be able to measure ground movements as small as half the radius of a hydrogen atom, NASA said, to sense minor shaking that may originate deep inside Mars. No mission has detected “marsquakes” before, but instrumentation left behind by the Apollo astronauts discovered such tremors on the moon. Under a new plan approved by NASA leaders last week, InSight will lift off on an Atlas 5 rocket from Vandenberg in May 2018 during the next Mars launch opportunity, which comes every 26 months or so. NASA’s Jet Propulsion Laboratory will take over redesigning and testing the seismometer enclosure, while CNES will remain in charge of developing the sensors themselves, integration of the sensors into the container, and final installation of the instrument on the lander, the space agency said in a statement. NASA said the delay and rework will add $153.8 million to InSight’s cost. The mission’s budget from NASA was originally $675 million, but it will now exceed $800 million. 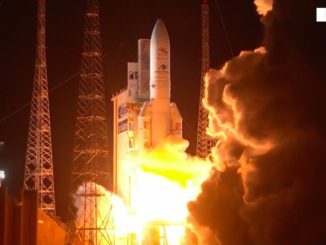 Those figures do not include funding from CNES and DLR, the German space agency, which delivered a subsurface heat probe to the InSight spacecraft on time last year. Yoder said NASA and CNES will share the cost of rebuilding the seismometer, and engineers told him last week they should have the problem fixed in time for the May 2018 launch window. But Yoder said Tuesday that NASA might still select two new Discovery missions from the five finalists in spite of the need to find money to cover InSight’s troubles. NASA officials prefer to pick two missions at once to avoid the cost of staging another competition as soon as 2017. 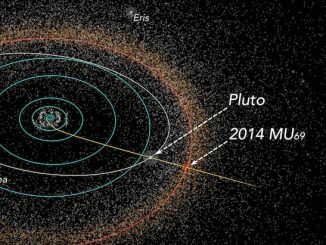 It will also help NASA get closer to the goal of launching Discovery-class missions on an average timeline of every 24 months. Recent flight opportunities under the program have only come every four to five years. “I’m going to do everything humanly possible to make it difficult for the selection official not to pick two,” said Jim Green, head of NASA’s planetary science programs, in a presentation to the NASA Advisory Council’s science committee in July. Yoder said he has the final call. 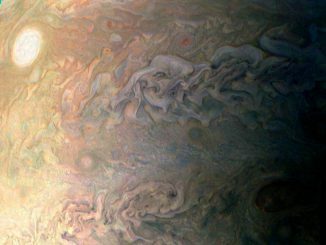 NASA hopes to release a solicitation as soon as January for the next New Frontiers-class mission, a more costly line of interplanetary probes which cost around $1 billion. A timeline released by NASA last month indicated the agency expects to pick finalists for concept studies in late 2017, select a winner in the competition in 2019, then launch it in 2024. Officials provided a list of six science targets available for teams proposing New Frontiers mission concepts. The types of missions on the list include a comet surface sample return, a sample return mission to the moon’s South Pole-Aitken Basin region, a mission to study the oceans of Saturn moons Titan or Enceladus, a probe to enter Saturn’s atmosphere, a spacecraft to tour and rendezvous with multiple Trojan asteroids, and a Venus in-situ explorer.